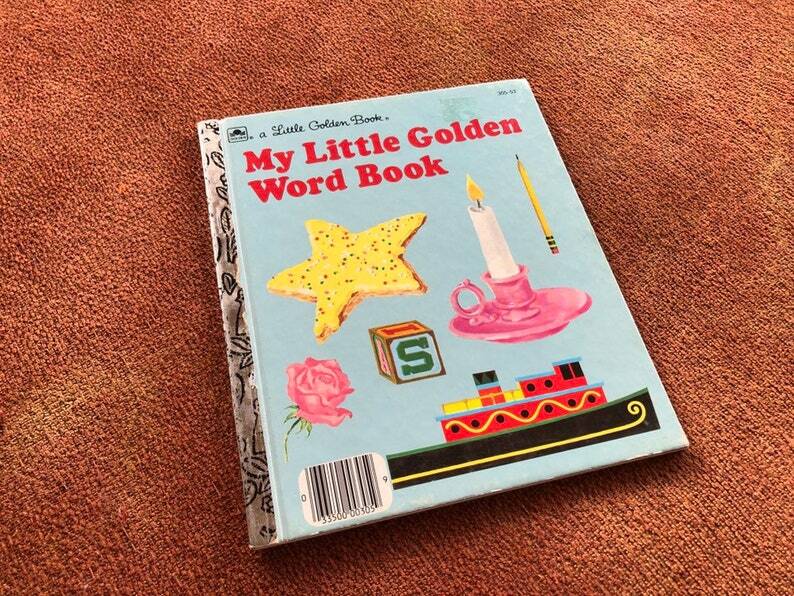 Vintage My Little Golden Word Book, C1968, 8"x6 1/2". Adorable midcentury modern / retro feel to it! Condition: Good; Minor wear; clean and tight pages with no writing; small spot on top right cover where a price tag had been.